An Association of Furniture Manufacturers, which is being created in Azerbaijan, will help to develop the sphere of furniture production in the country. Deputy Economy Minister Niyazi Safarov made the remarks at an event on the topic "Enhancing the role of associations: the exchange of experience between Azerbaijan and Turkey" held on July 7. Some 50 furniture manufacturers from Azerbaijan and 200 entrepreneurs from Turkey took part in the event. The deputy minister noted that in future it is planned to sign a Memorandum of Understanding (MoU) with the Association of Turkish Furniture Manufacturers, adding that creation of the export potential of furniture producers is important, both for Azerbaijan and for Turkey. 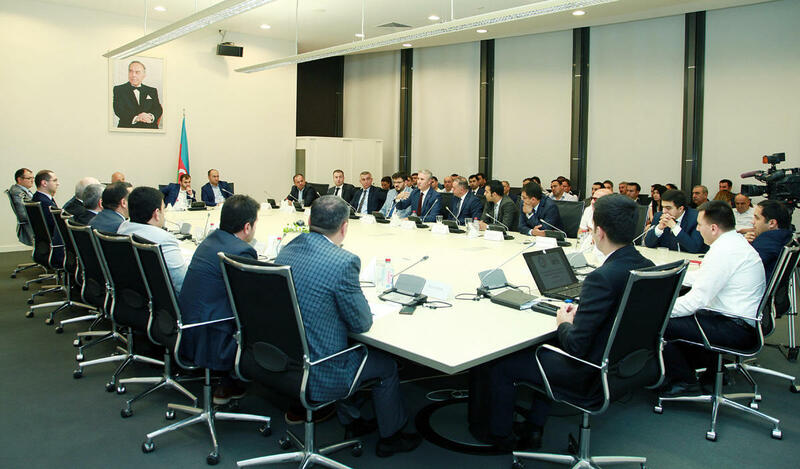 Safarov mentioned that the registration of the association is underway, while the chairmanship in the newly-established association will be assigned to Embawood. “There is a very high competition in the furniture production market and we are doing a huge work to develop this sector in the country. Thanks to the reforms, the furniture production in the country is growing every year,” Safarov said. Secretary General of Confederation of Entrepreneurs of Azerbaijan, Orkhan Bayramov, in turn, noted that in the future, a specialized policy can be applied in the country's furniture market. "This can happen after a sufficient expansion of the market, which we have already seen in the insurance market of the country. In addition, the Association can create electronic catalog of furniture produced in the country and organize profile exhibitions," Bayramov said. Myashur Mammadov, one of the co-founders of the Association of Furniture Manufacturers of Azerbaijan, addressing the event said that the goal is to further develop furniture production in the country. “Turkey's experience will be actively used in the establishment of the association, we invited Turkish colleagues to the event to receive information on their activities. Through joint steps we plan to bring the quality and production volumes of Azerbaijani products to a level that makes it possible to export," Mammadov added. Chairman of the Board of the Association of Furniture Manufacturers of Turkey Yavuz Uğurdağ noted that the parties will work on preparation of a program of cooperation between the two associations. "Cooperation between the two countries will continue not only in the field of sales, we are ready to share our experience in the production of furniture and start working together in the development of the furniture industry," Ugurdag said. The rapid growth of the construction sector over the past decade has promoted the development of the furniture market of Azerbaijan. The dynamic building sector development causes enough increase of furniture production demand which is satisfied completely both by local production and importing. There are very dynamic enterprises in the field of furniture production of Azerbaijan. The enterprises are equipped with the latest facilities. The local furniture production is mainly based on kitchen, office, dwelling and nursery furniture. Azerbaijan exports its local production mainly to Georgia, Iran, Kazakhstan, Russia. The following countries as Italy, Turkey, Russia, China, Malaysia, Ukraine, Poland, Romania, U.A.E., Iran are the main furniture suppliers to Azerbaijan. Nowadays there are more than 500 large furniture stores in Baku and regions where local and importing furniture is presented. Turkey is the strategic ally and brother nation for Azerbaijan. The country was the first state to recognize Azerbaijan's independence in 1991 and has been a loyal supporter of Azerbaijan in its efforts to consolidate its independence, preserve its territorial integrity and realize its economic potential arising from the rich natural resources of the Caspian Sea. The trade turnover between Azerbaijan and Turkey amounted to almost $553 million in the first quarter of 2017, which is 2.15 times as many as the same period of 2016.